Those of you that know me well know that I love cooking tools. I’m not a big gadget guy, but I love quality tools, such at pots, pans, and especially knives. I don’t have many knives but I think a good chefs knife is the best tool a home cook can have. For years I’ve used the classic Wusthof knife and I’ve been very happy with how long they’ve lasted and how well they keep a sharp edge. I’ve been wanting a new knife set for a while and have read many reviews and scoured many websites to get ideas and learn about new brands. While I was on vacation in Florida with friends we stopped by a food festival in St. John’s pass. While walking around trying out some great seafood I bumped into a booth for Rhineland Cutlery. I absolutely loved the knives. The quality was amazing and the price was set at promotional, wholesale prices for the food festival. The chefs knife retails at $169 and they were selling them for $75. Of course I could not resist buying one. My friends considered this an impulse buy, but I’ve been looking for new knives for a long time and these were exactly what I was looking for! 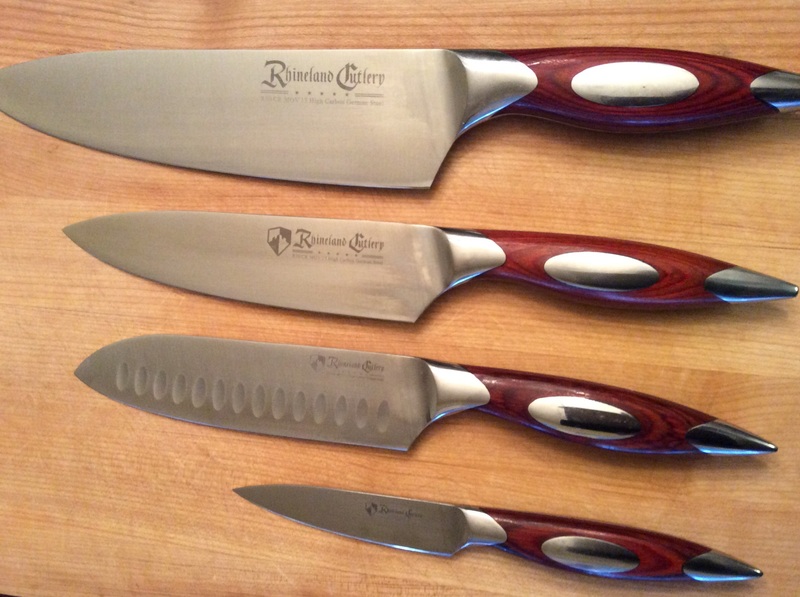 I loved the Chefs knife so much, I’ve since ordered a pairing knife (an essential home chefs tool)’ and a 6″ Santoku, a good utility knife. Some people store their knives in a drawer, but I think this probably beats them up unnecessarily and shortens their life, but mostly makes them inconvenient to access. 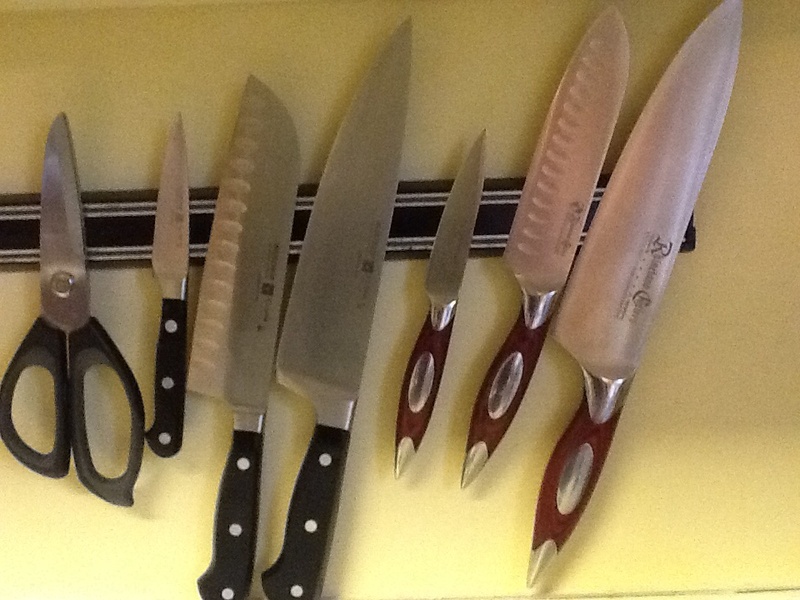 I use a knife hanging magnet, which is not only a good way to display your knives, but also keeps them in good shape and easily accessible. I also recommend that you never, ever put your good knives in a dishwasher. I hand wash mine immediately after using them and hang them up so they stay in great shape. I recently added to my collection. 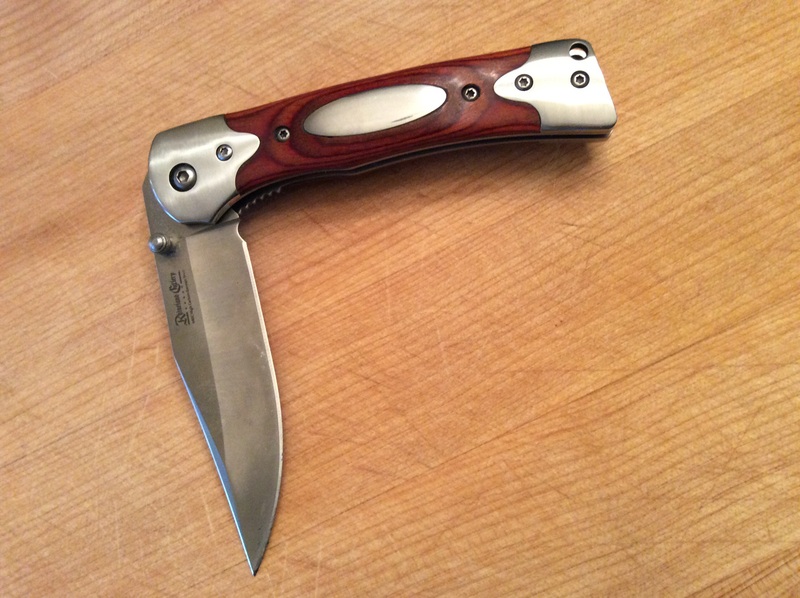 For Christmas my wife bought me the 6″ chefs knife, a great utility knife, and the folding pocket knife! These knives really hold their edge. 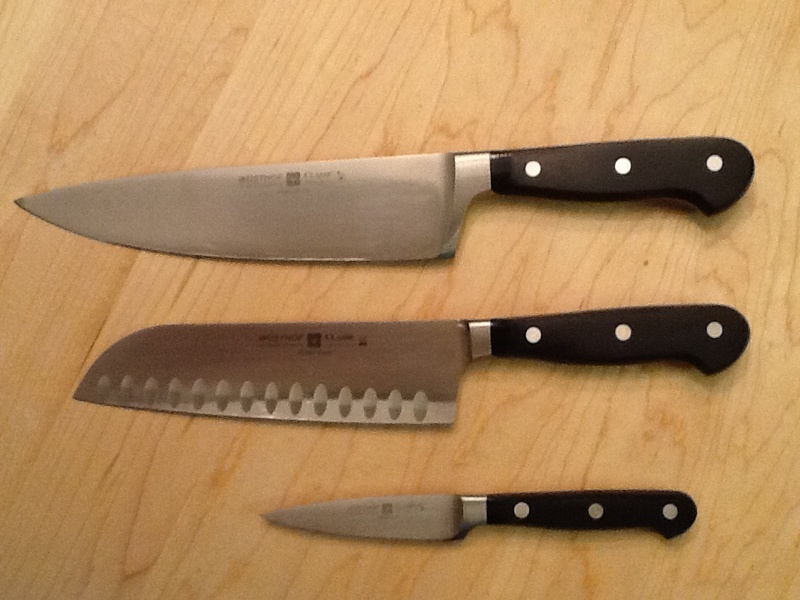 Since purchasing my original chefs knife a year and a half ago, i have only sharpened them twice! 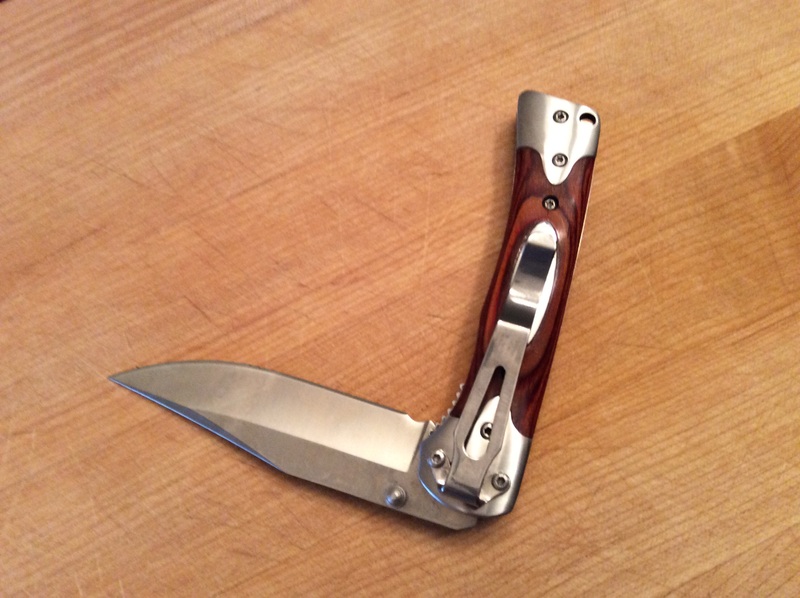 The pocket knife is as functional as it is good-looking! It has a clip which is a must have feature for me! This entry was posted in Cooking tools and tagged Cutlery, Knives, Rhineland Cutlery, Wustof. Bookmark the permalink. Pingback: Cutlery | Let's Eat! 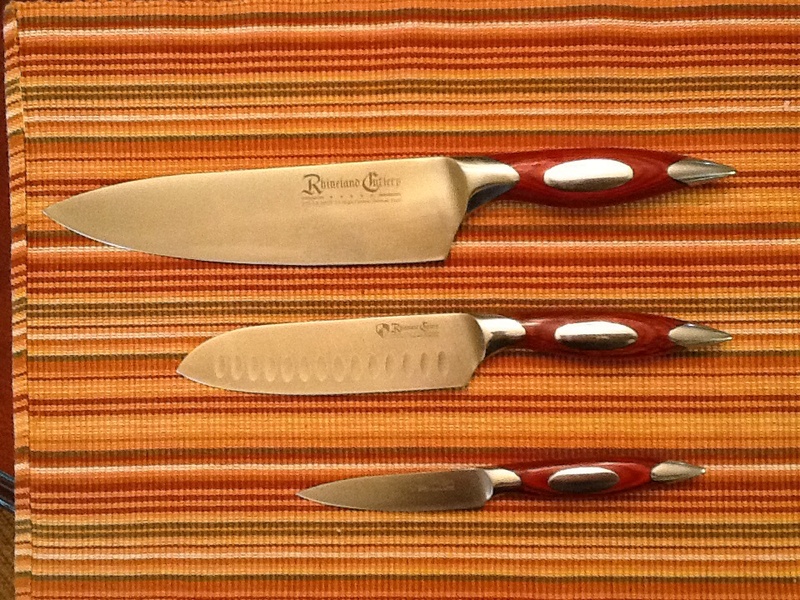 It took us many years to buy a good set, but we love our Shun knives. Like you, we never put them in the dishwasher, and that’s made a difference in how long they stay sharp. Looking forward to new posts from you with more recipes we can snap up!